Make Net Promoter® stronger and sharper. 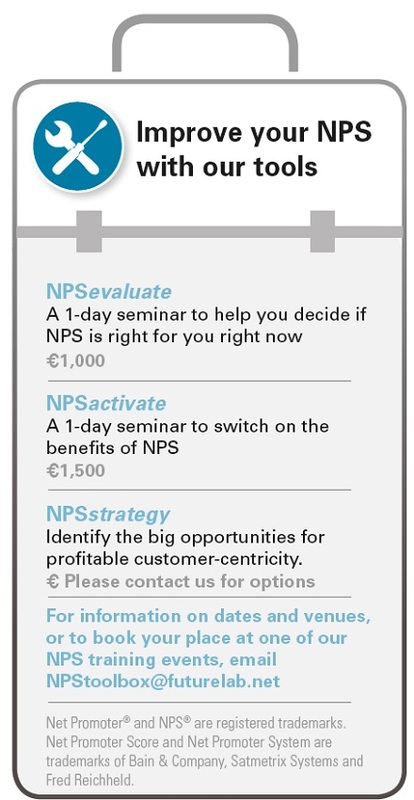 You have big plans for NPS®. You see some positive change and some early signs of growth, but now you’re ready to take it to the next level. What you do NOW could make or break your Net Promoter programme. NPScalibrate will help that you make it stronger. This rapid audit brings our expertise directly into your organisation. We work alongside you to find out what’s working and what’s not. In 10 days we’ll show you how to put things right and start getting tangible results. 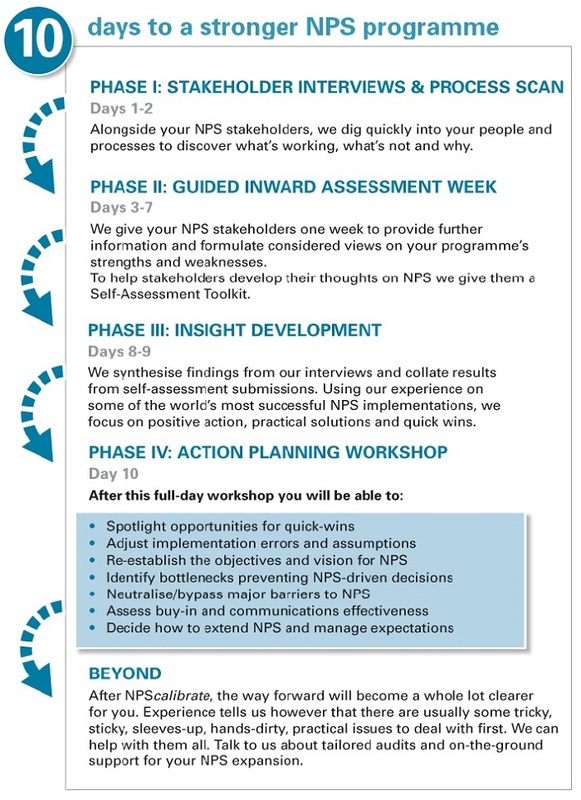 Organisations that want to review and recharge their NPS programme to deliver powerful tangible results – today. Net Promoter® experts with extensive ‘on-the-ground’ experience. Futurelab is an international customer-centricity boutique. Our associates have delivered many of the world’s largest NPS programmes in Europe and America. They have learned NPS practice in the trenches of corporate reality and many have obtained formal certification in the field. BOOK your NPScalibrate audit NOW: Duration:10 days; Cost: €12,500 plus VAT per country unit.